New Holland’s TM190 was perhaps not the firm’s finest hour. But with its issues resolved and upgrades completed early in its life time, its value as a solid secondhand power unit has become much more widely accepted. Geoff Ashcroft reports. 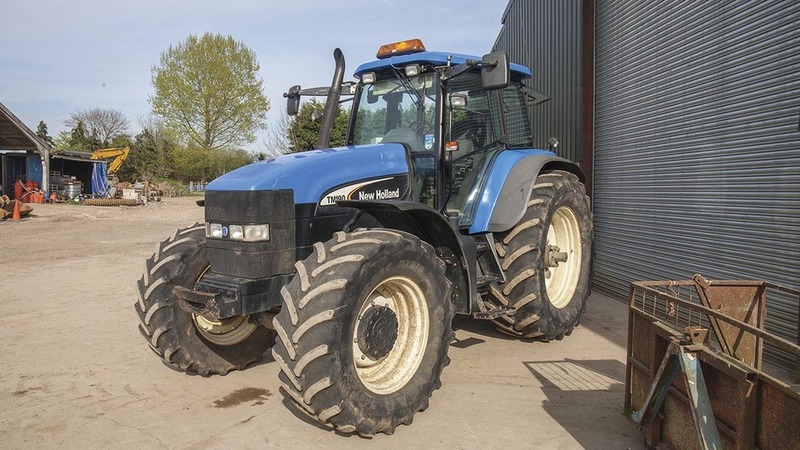 A good New Holland TM190 could provide a cheap source of power. New Holland’s TM190 was a late addition to the range, arriving in 2002 some three years after the TMs were first revealed. It was one of two long wheelbase models which sat at the top of the Basildon-built TM portfolio - the other was the TM175, and is, to all intents and purposes, the same beast with a different setting on its electronically managed rotary fuel pump. TMs were eventually replaced in 2007 by the T7000 series, though in its short lifetime, the flagship TM190 was soon identified as not one of New Holland’s finest hours. And there are plenty of comments strewn over the internet on issues, and fixes too. However, the firm did get stuck in to solving the big TM with a recall programme early in its life and most models should have been well and truly rectified. A larger oil cooler was one of the key fixes, to prevent the rear end from over-heating and causing the powershift transmission to throw a rather expensive wobbly. Some users reported melted fuel tanks sustained by excess heat transfer from sitting alongside that poorly cooled transmission housing. A serial number check is essential. 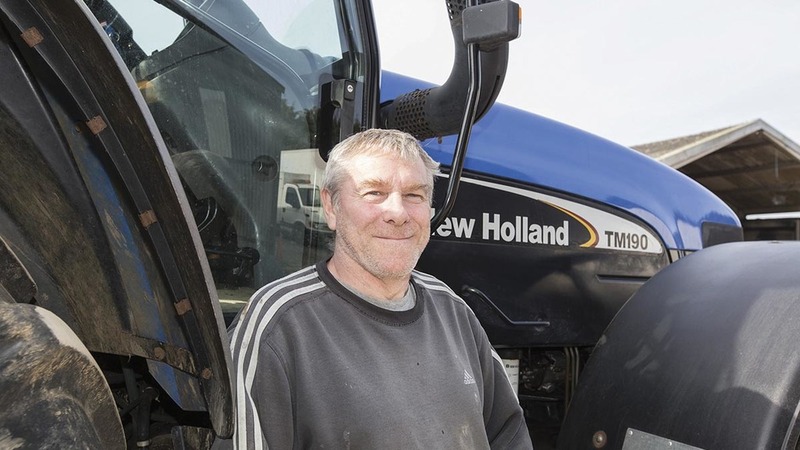 Crucially, you should be able to carry out a serial number check through any New Holland dealer, to see if your prospective purchase has benefitted from much-needed factory-focused improvements and cooling performance. Similarly, heat from the turbo could scorch the side of the bonnet on hard-worked models too, which may have led to some repainting. If you can find one with a bit of history to back up its pedigree, it should simplify the decision to thrash out a deal or run for the hills. While this bad image hammered the secondhand values of TM190s at the time, those running right were considered to be strong performers. 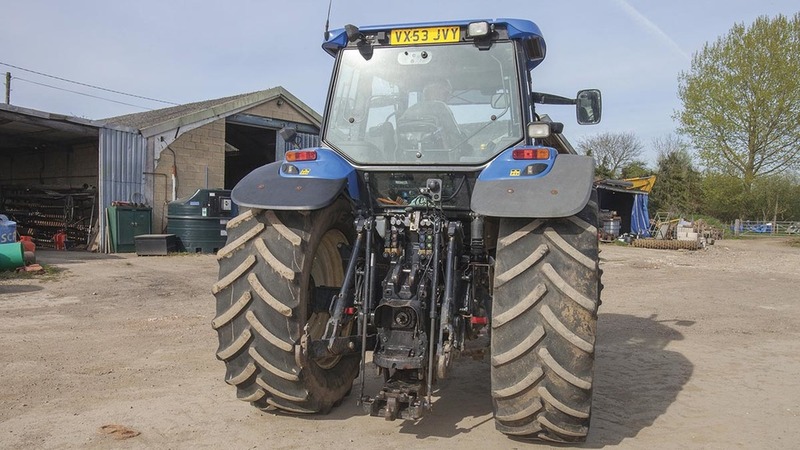 Ultra spec TM’s saw the arrival of electric spool valves, a 50kph transmission and meatier stabilisers, and the tractor is more sought after, as cheap horsepower. The TM190’s 7.5-litre Iveco-based CNH engine was the first of its kind to offer a power boost function. Electronically controlled through a rotary fuel pump, this jacked up the grunt from 190 to about 230-240hp at the PTO. It was probably a contributing factor to the over-heating back end issues. Look for upgrades to the electronically-governed rotary fuel pump – earlier tractors were prone to throwing up error-codes. And if one has had a pump replaced recently, view it as a positive sign. Power Command 19 by six was the only transmission option available for the TM190, though it could be specified as 40k eco or 50k at maximum rpm, and set through software. While the transmission was known to have a few short-comings, not a lot went wrong mechanically. Powered range changes were known to lack finesse, and could often be softened with clutch pack recalibration through the dealer’s laptop. 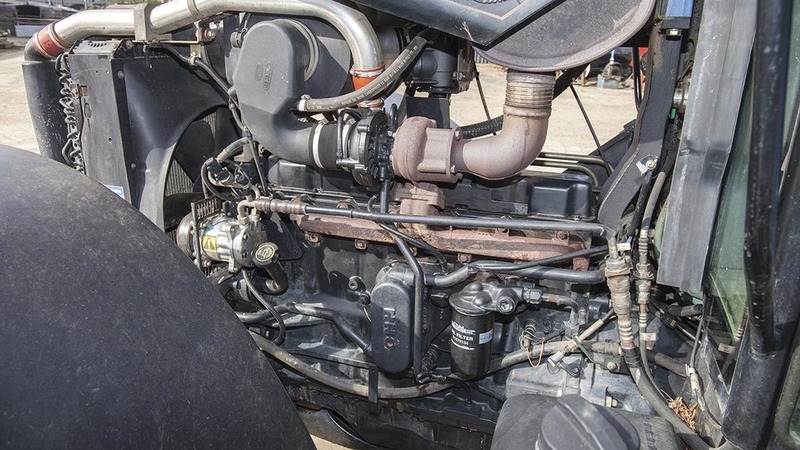 Replacing the external solenoid valves could also improve shift quality, and many of the tractor’s sensors are known to weep oil - so keep plenty of spares. Check for the large oil cooler upgrade, which keeps temperatures under control. The TM’s six-post cab offered a decent working environment, with two sensible glass doors and opening rear quarter lights which could give you a ready supply of fresh air without having to open the rear window. This is particularly useful if the air conditioning does not function as well as it should. Controls fall easily to hand, and it has to be said that operators would have little to fault when it comes to ergonomics. Electronic hitch settings, diff lock and four-wheel drive functionality was easily selected from the right-hand console. 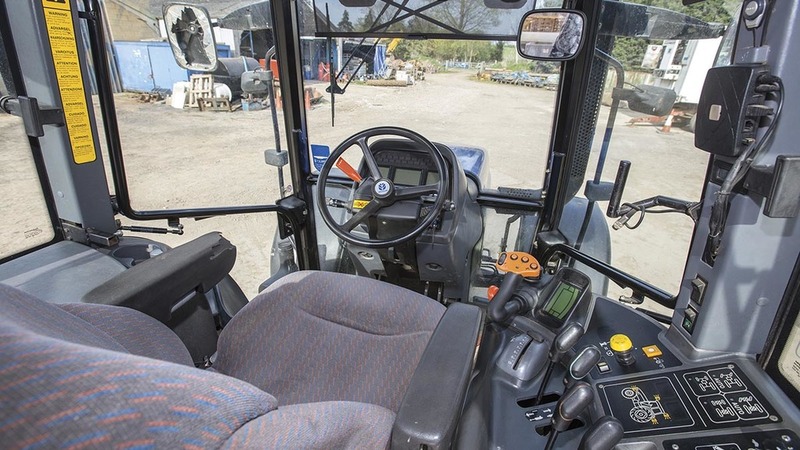 An electronic dashboard offered all manner of information, including an area meter, revs and pto speed, in addition to more useful temperature and fuel gauges shown on the LCD panel. Press all the buttons and check that the panel operates correctly with an easy to read display, and look out for error codes. The fold-down passenger seat is not the best, but it does offer useful space to sit your lunch bag at break time. In-cab storage is met by a cubby on the left-hand inner wing, though the flat floor cab lets you store most items by the right-hand door. Comfort comes from a combination of air suspended seat, front axle suspension and spring suspension under the back of the cab. The TM’s pickup hitch uses a series of parallelogram links to swing the hitch backwards as it is lowered. And with a lower glass pane beneath the rear window, it can be seen when hitching up to trailers.Pay close attention to link-arm wear for those which have spent their days on cultivation work with mounted equipment. Twin assistor rams do give the TM190 a healthy lift capacity, and you will certainly need a bank of front weights - either bolted on the front weight frame or hung on the optional front linage. Four colour-coded double-acting spools offer a useful level of functionality, and the mechanically controlled spools were replaced by electronic versions on all Ultra-spec TM190’s. Price often reflects condition and specification - so if it looks too good to be true, it probably is. Remember to check those serial numbers, and make sure everything operates as it should do. Ken Roberts (pictured) bought his 53-plate TM190 back in 2007. 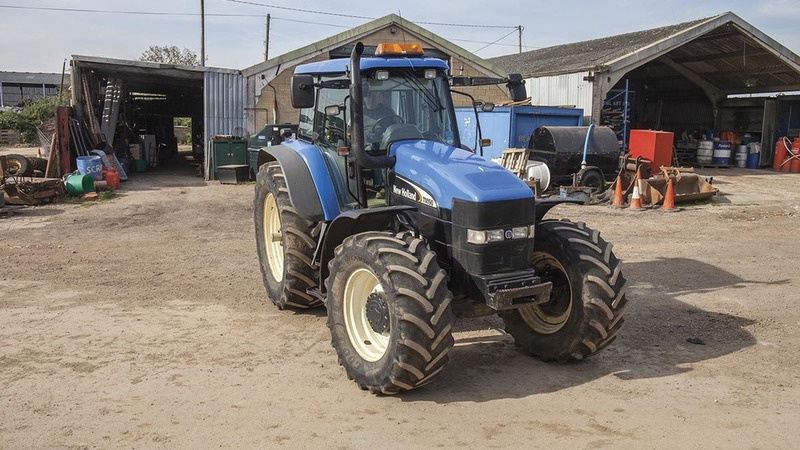 With nearly 6900 hours on its clock, the big TM supports the 202ha arable farm’s MF6499 frontline tractor, and is used for hedgecutting, trailer work and rolling. Over the last 10 years, Mr Roberts says the TM has been largely reliable and robust. His has not suffered any of the over-heating issues, but has recently had its injector pump replaced and the gearbox’s external solenoids have also been replaced by his local dealer, TH White. “It was never bad on gear changes, but it is certainly much smoother since having its solenoid valves replaced,” he says. Mr Roberts adds that owning the TM has not been a painful experience. “We’ve had a few sensors start leaking oil, though I’d probably replace the Massey before the TM." You can search hundreds of tractors, trailers, sprayers, balers, combines and many other types of machinery from independent dealers and private sellers. Find new and used farm machinery for sale.